The Italian Navy vessel Foscari rescued 44 migrants last night from a disabled boat that is believed to have departed from Libya about 4 days ago. 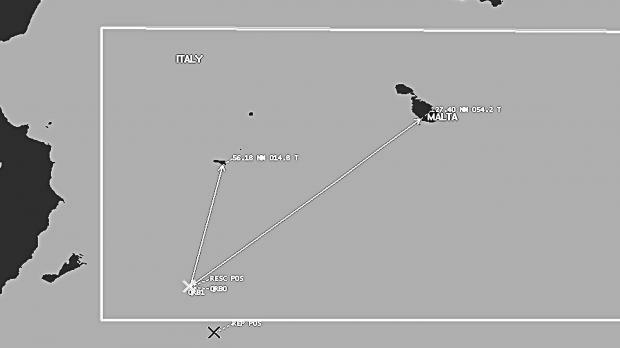 Maltese media reported that the Italians wanted to disembark the rescued migrants in Malta due to the earlier decision of Italian authorities to close Lampedusa for search and rescue purposes. However Adnkronos news is reporting that the Foscari is taking the rescued migrants to Augusta, Sicily. The first satellite phone distress call from the migrant boat was reportedly made when the boat was located within the Libyan SAR. The migrant boat was finally sighted by an Italian fishing boat last night within the Maltese SAR. The Italian Navy vessel Foscari rescued the migrants. A Somali woman and her newborn infant who was born on the migrant boat were flown by helicopter to Lampedusa for medical care. The remaining 42 rescued persons will now apparently be disembarked in Augusta some time tomorrow. 16 August was the last time a migrant boat reached Italy from Libya. Click here (EN), here (EN), here (IT), here (IT), and here (IT) for articles.